Okotoks Ford | Find the Elves! This year, we are going to host our Elf on the Shelf a little differently... our elves have gone digital! We are hiding a total of six elves right here on our website, all you have to do is locate them, tell us where you found them and then you will be entered into the prize draw! We will hide three elves between December 1st and 7th. Three more elves will be hidden between December 8th and 14th. You will be able to enter the draw any time between December 8th up to the closing time of 4pm on Friday December 15th. We will then draw a winner on December 18th! "On the F-150 slider on the homepage" or "Halfway down the Service Specials page"
Once you've filled in all six boxes, along with your details so we can contact you if you win, you can hit that submit button to enter! Make sure you get your completed form to us by 4pm on Friday December 15, 2017. Why not invite a friend to join in the fun? 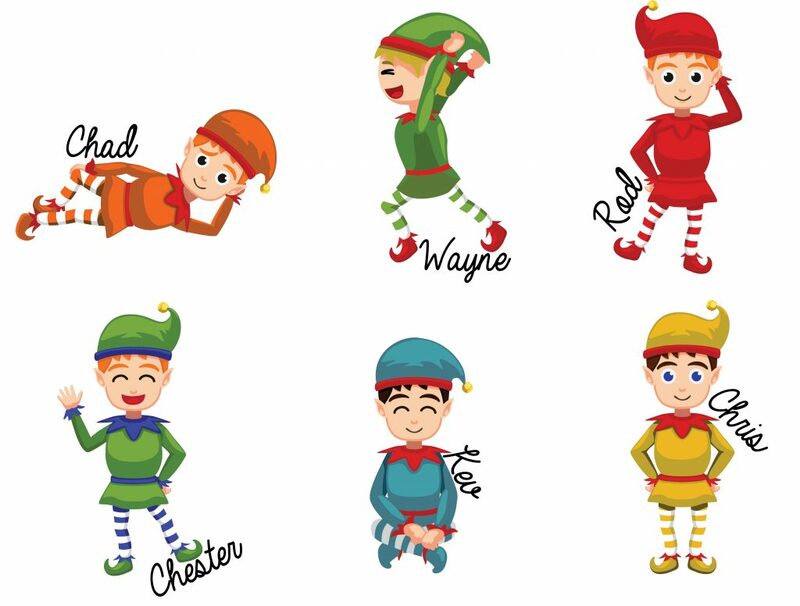 Here are our elves, with familiar names... There will be one of each to find. They will be around this size or a little smaller when you're looking for them. We have a fantastic prize bundle, worth over $500! 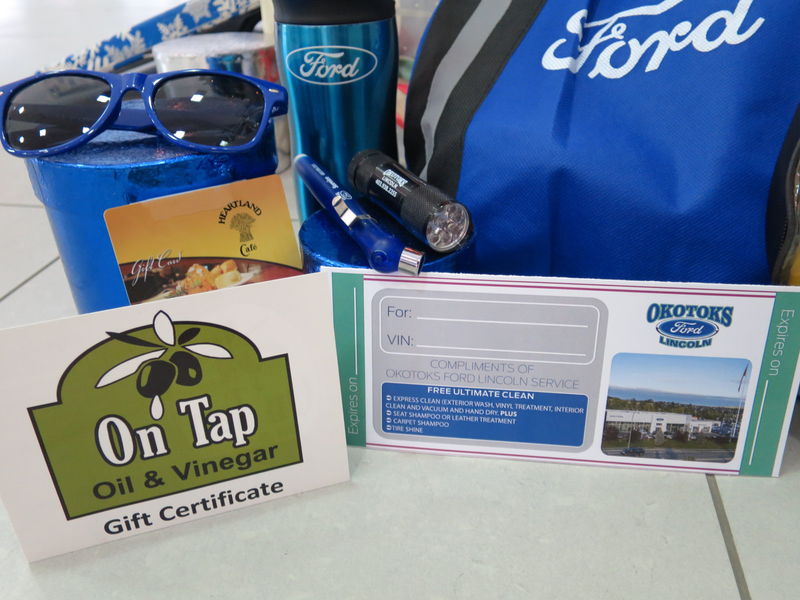 $100 gift voucher to On Tap, the oil and vinegar store in old town Okotoks. Booster cables, flashlight, Ford travel mug, sunglasses, tire pressure gauge and Ford drawstring bag. We will reveal a hint to make it easier to track the elves down on our Facebook page, on Friday, Monday and Tuesday, so make sure you are following us! There will be six hints in total, released at 9am each morning! If you are still stuck, you can message Okotoks Ford through Facebook for one bonus clue. Just tell us which you've found and we will give you a personalised hint to find one you don't have yet! Entries between December 8 at 8am and December 15 at 4pm MST, will correct details of where all six elves were located will be eligible to be entered into the prize draw. Incomplete entries, or entries after this time will not be counted. The winner will be announced on December 18, but also notified by email. If the winner does not respond by December 26, a new winner will be selected. The winner is encouraged to collect from the store, and have their photo taken for Okotoks Ford social media use.